Flowering in September with beautiful pale purple blooms, the lush foliage follows in the spring and for this reason it is also called “Naked Ladies”. 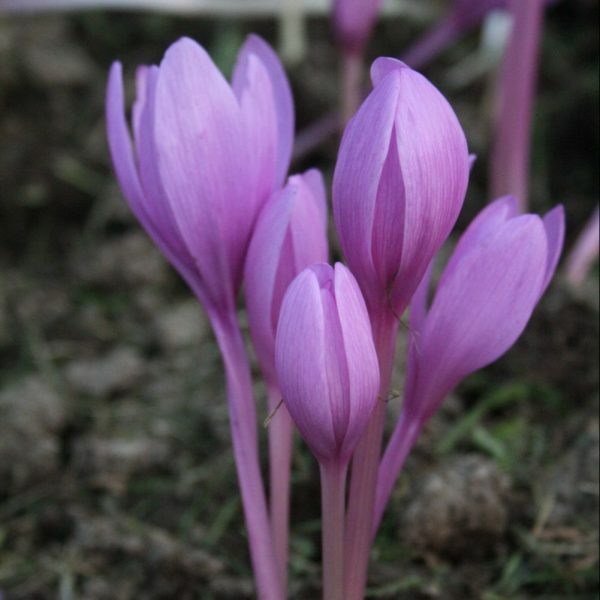 The other common name, Meadow Saffron, is misleading as this is neither a Crocus nor produces saffron. Naturally occurring stands in moist meadows in Southern Britain are nowadays a treasure, but it used to be vigorously discouraged in grazing meadows being poisonous to livestock.